A very special thank you to Stephanie for sharing this charming Vintage Car Birthday with us and to barebonephoto for the gorgeous photography. 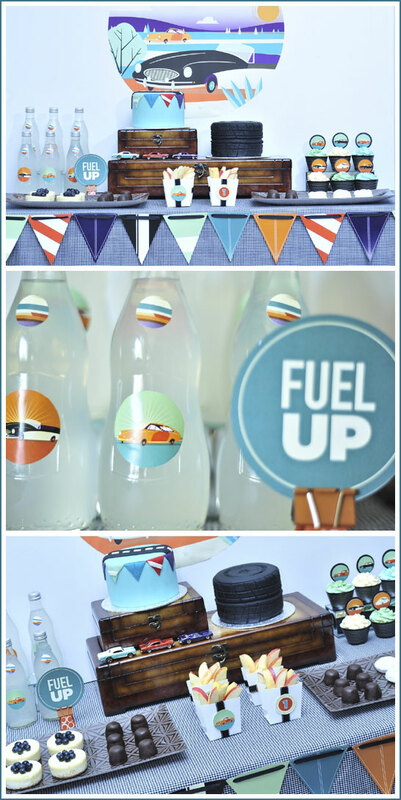 You can see more adorable party printables by Spaceships and Laser Beams in their Etsy store and on Facebook. So exciting to see this up on your blog! We’re beyond thrilled! I also wanted to add that Spaceships and Laser Beams is a collective of talented designers. The printables for this collection were designed by the wonderful Janelle of Hello Dear Design and Illustration (you can see more of her work at Hello Dear). Wow! What an amazing job! In a few days I will do a tire cake, thanks for inspiration! Just love this table. 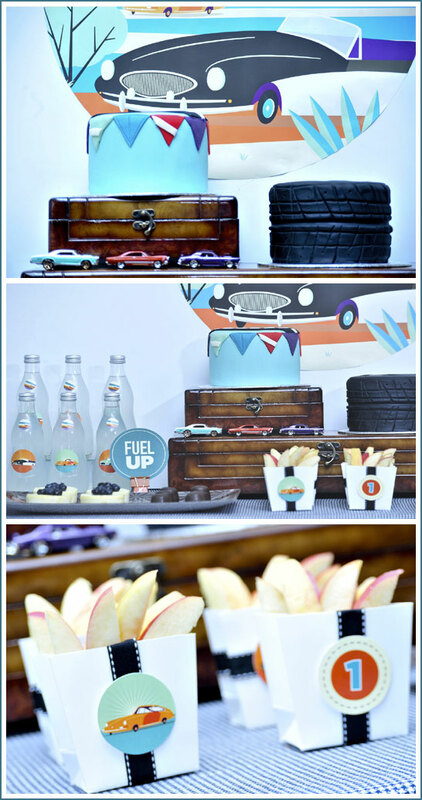 The colors, the vintage feel and the tire cake! This is AWESOME!! It is entirely unique and I love the apple boxes.